Located in a suburb in Auckland, traffic on Franklin Road regularly surpasses 14,000 vehicles per day including buses and heavy goods vehicles. This heavy and constant trafficking had caused the road surface to deteriorate leading to a number of dangerous hazards to pedestrians, cyclists and other road users. With this in mind, in 2016 Auckland Transport announced their plans to carry out significant improvement works to Franklin Road, which included providing an urban streetscape that will accommodate all road users while retaining natural heritage. The durable and aesthetically pleasing finish of UltraScape's Mortar Paving System made it an ideal choice for completing these exciting upgrades. 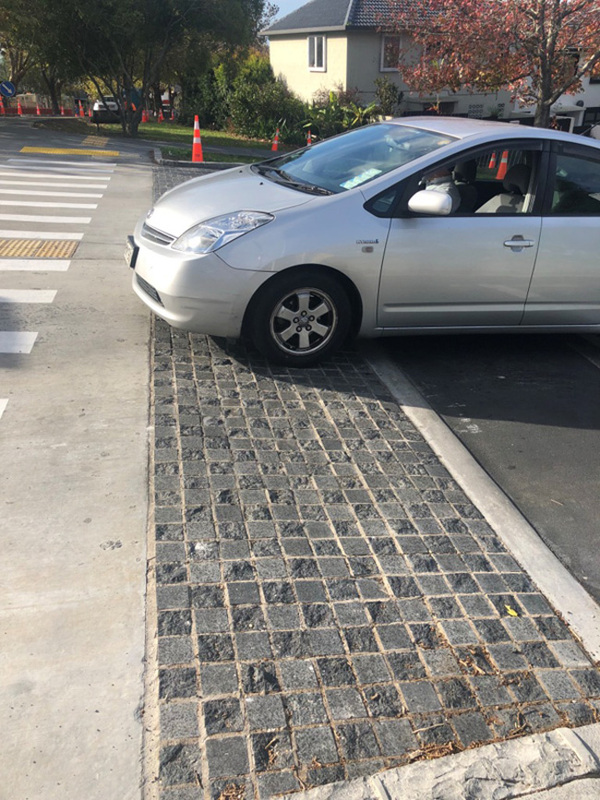 UltraScape's independently tested and approved Mortar Paving System was supplied by Instarmac's New Zealand partner, Horizon International, to install and joint granite pavers on a roundabout and traffic calming crossroads throughout Franklin Road. UltraScape's Mortar Paving System comprises of Pro-Bed HS fine bedding mortar, Pro-Prime slurry primer and Flowpoint rapid set flowable grout. Pre-blended for ease of use, Pro-Bed HS can be laid from 10mm - 75mm, is shrinkage compensated and can be opened to foot traffic in just 12 hours, allowing contractors to move on to the next part of the project quickly. Formulated to provide an exceptional bond between your paving element and Pro-Bed HS, Pro-Prime slurry primer eliminates costly failures caused by general wear and tear and heavy load bearing vehicles. Ideal for large-scale projects, Flowpoint has been developed over a number of years to provide a durable finish which will not crack or stain - a guarantee that has been put to the test in some of the world's hottest and coldest climates. What's more, Flowpoint can receive foot traffic in 1 hour and vehicular traffic in 4 hours keeping disruption to pedestrians, cyclists and other road users to a minimum. Pro-Bed HS, Pro-Prime and Flowpoint have been used all around the world for over 20 years. Recent projects include MBR City, City Walk and Opera House in Dubai, Tallinn Old Town in Estonia and MediaCity, home of the BBC, in the UK. UltraScape's Mortar Paving System is available throughout New Zealand through Horizon International. To contact Horizon International please call 0800 682 745 or visit http://www.horizoninternational.co.nz.